I give this 5 stars because it works great! I work on copier and have to clean them up and it works great on getting the gum off left from stickers. Also it leaves a nice shine on the plastic and makes look new again, but for me I have to use a follow up towel so you don't see the swirls. Try the formula you love in our convenient Clean-Up Wipes. It’s not just fast. 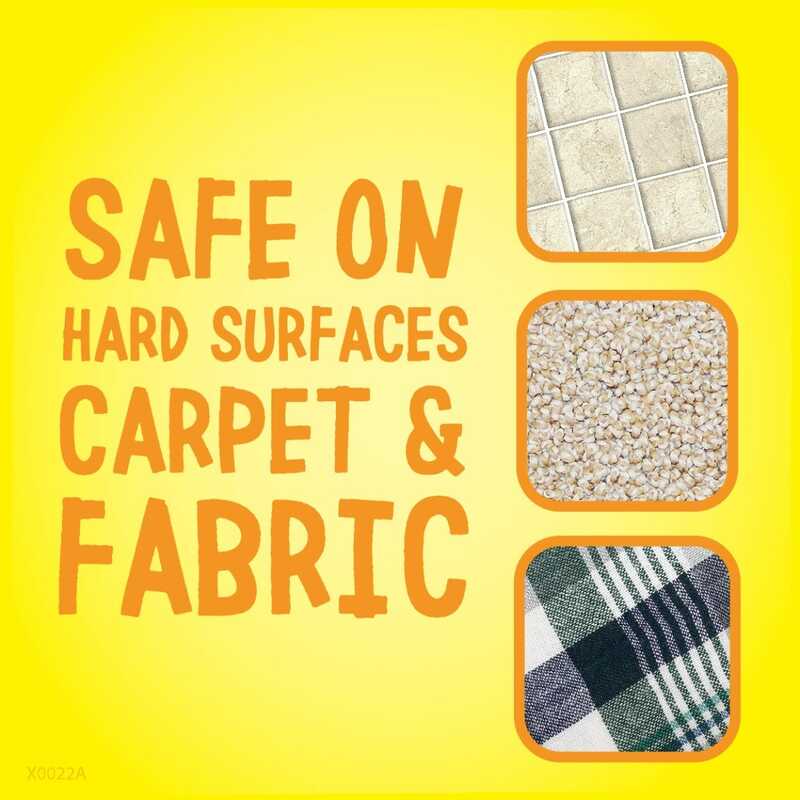 It’s surface-friendly. Remove clear plastic seal by flipping open lid, squeezing body of the canister, and pulling up firmly on lid to remove from canister. 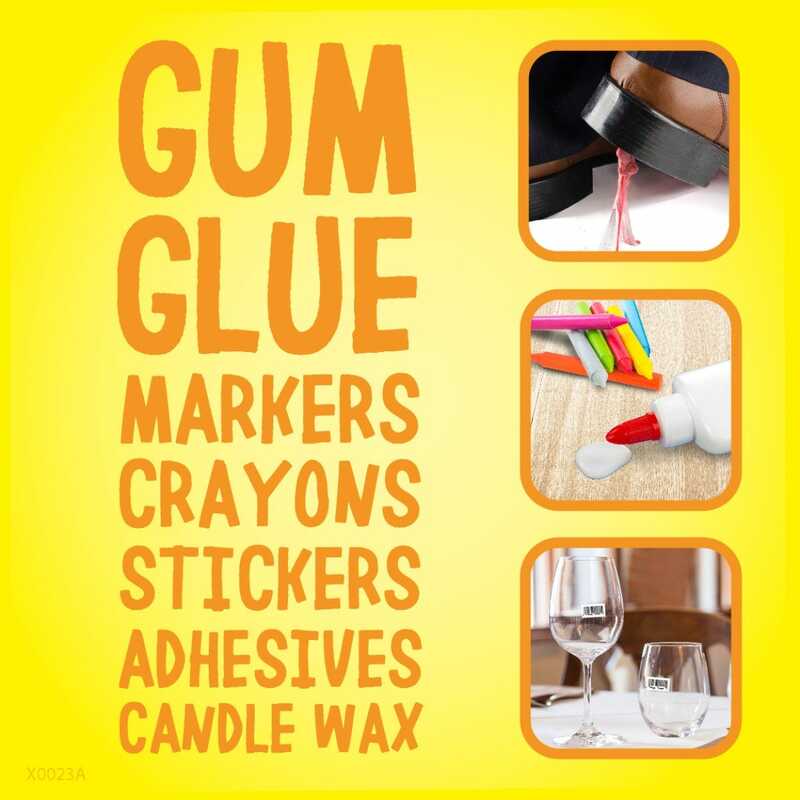 Peel off clear plastic seal and discard. Locate wipe at center of roll, twist to a point, and thread through opening in lid. Replace lid and pull wipe through. Keep lid closed between uses to prevent moisture loss. 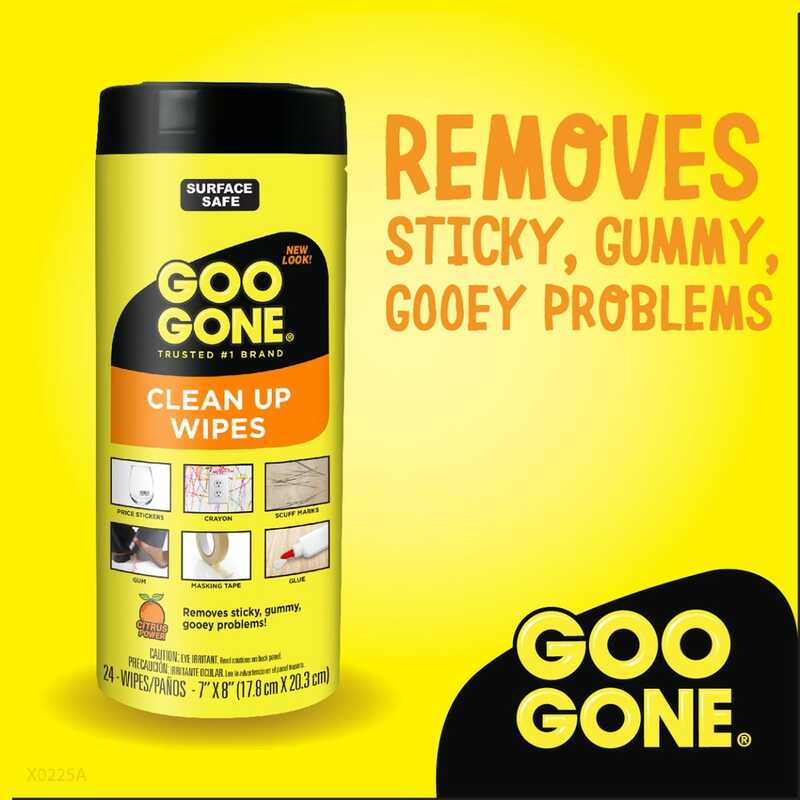 Are the Clean-Up Wipes stronger than Goo Gone Original? They are similarly strong, but with one key difference. 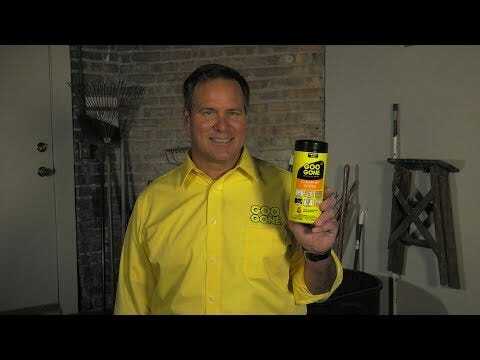 Goo Gone Original is oil-based and thus better at removing oil-based adhesives. The Clean-Up Wipes are water-based and thus better at removing water-based adhesives. Do I need to rinse my surface after using the Clean-Up Wipes? Yes, you do need to rinse the area with soap and water after use.